President Saakashvili attended a presentation of first-ever Georgian produced infantry fighting vehicle (IFV), Lazika, in the Vaziani military base outside Tbilisi on February 25. “Lazika is equipped with remotely controlled weapon module and fire control system. It is armed with 23-mm cannon and 7.62-mm machine-gun. Its day/night thermal sighting system makes [IFV] capable to control fire, detect and locate targets in any weather conditions,” the president’s administration said in a statement. He said that the 14-tonne IFV had an operational range of 200 kilometers, but was also capable to carry additional fuel tanks extending its operational range to 400 kilometers. According to the Defense Ministry the IFV has armor providing protection from 14.5-mm caliber armor-penetrating bullets. “This is the new level of development, because very few countries are capable to produce tracked fighting vehicles,” Saakashvili said. He also said that the new IFV had an export potential. “Yes we need and we plan to commission it [for the Georgian armed forces] in large quantities, but it is also something that is sold on the world markets easily,” Saakashvili added. IFV Lazika was developed by research center Delta of the Georgian Ministry of Defense. Akhalaia said that the center had been working on its development for past two years. “We have accomplished this task [to produce IFV] and it means that we will be able to further develop this direction [military industry],” he told journalists. 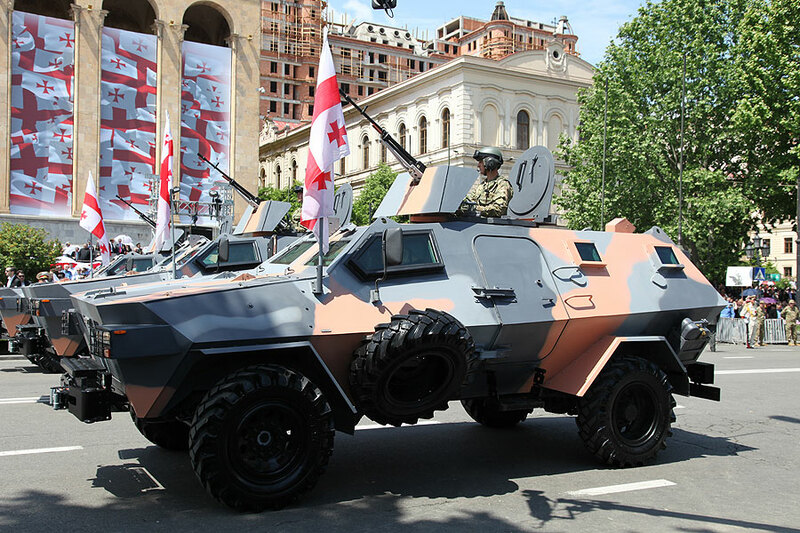 Delta research center also developed two types of Didgori light wheeled armored patrol vehicles, which were first presented during the Independence Day parade on May 26, 2011 – Didgori 1 with multi-barrel heavy machine gun, Minigun, capable of carrying nine personnel and Didgori 2 with 12.7 caliber machine gun. 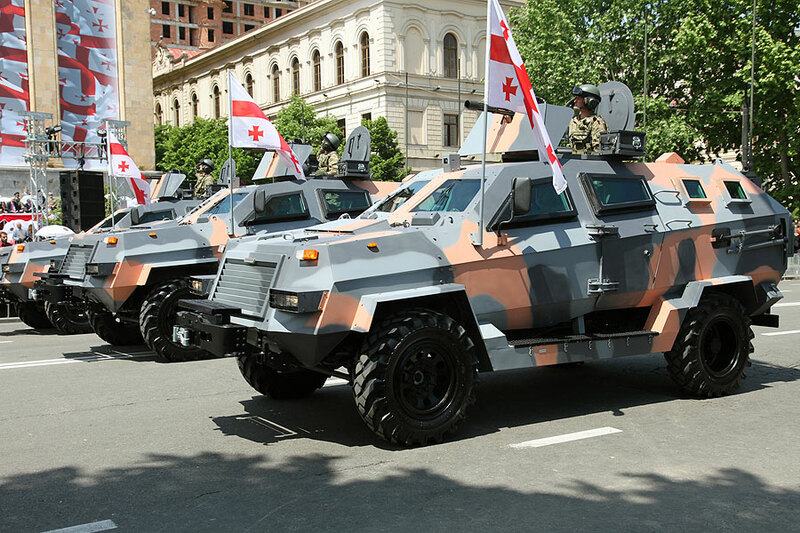 The authorities apparently timed public presentation of the Georgian-produced IFV – February 25 - to coincide with the Day of Soviet Occupation, commemorating events of ninety one years ago when the Bolshevik’s Red Army took over Tbilisi.